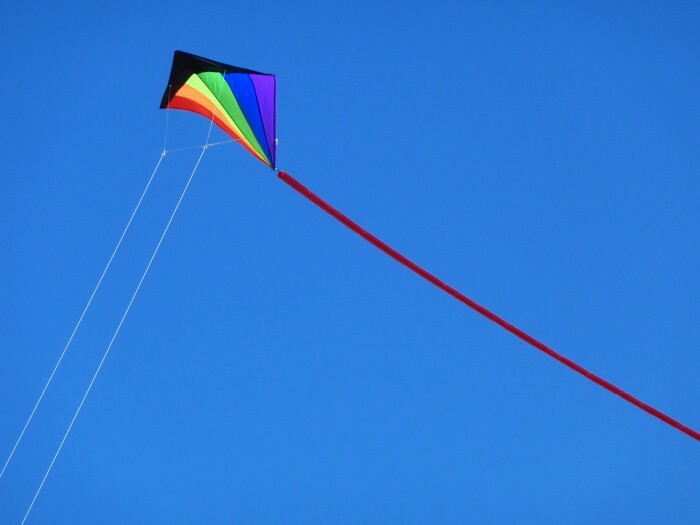 Calling all Naturalists (and not-so Naturalists) for Kids Club Kite Night! 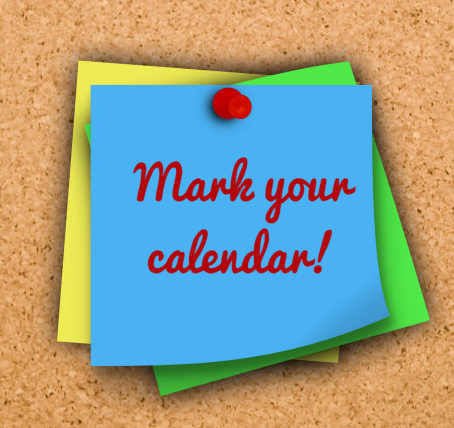 September 18th 4p.m.-6p.m.! 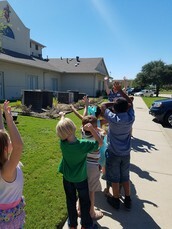 Children ages 3 - 5th Grade are invited to Kids Club - Kite Night - Worshiping God as a Naturalist as we continue our study through "Sacred Pathways". Bring a Kite if you have one, and if you do not we will have some to share! Kids Club Volunteers and Interest Group Leaders Needed! 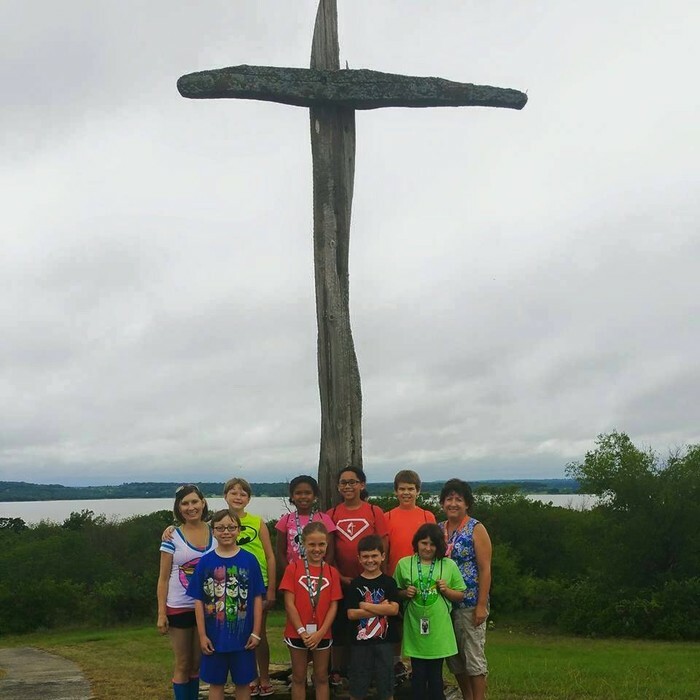 Kids Club is back in session for the Fall and we would love to invite your to join us one Sunday evening or multiple Sunday evenings to be a part of our Interest Groups and/or our Sacred Pathways Journey. If you are able to join us as an adult volunteer once or multiple times, please email Lisa at lisa@vrumc.org or call her at 214-850-0801 to discuss opportunities. 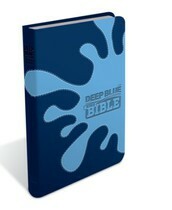 September 18th will be an amazing day as we have the opportunity to gift our third graders with their new bibles! Then, 3rd-5th graders are invited to join us for a Big Bible Bash with lunch and a special sacred circle time followed by a pool party! 3rd-5th Graders! 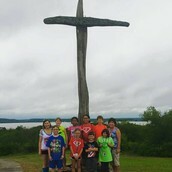 Bible Camp is Next Weekend! On Sunday children saw how God was with Joseph through tough and trying times. Joseph became prosperous, but his greatest possession could have been called his amazing faith in God. Regardless of the circumstances, Joseph chose to follow God and be God's disciple! Join us tomorrow as we follow Joseph's Journey and see how God continued to guide and reward Joseph! Join us in Children's Church as we "show" the Sacred Pathways during our sermon series! Last Sunday we learned about Naturalists and how to love God out of doors and how to love God with the senses as a Sensate! We went on a nature walk and looked for God's creation and created scripture pennants! Join us tomorrow as we learn about Intellectuals and exploring God's Word! 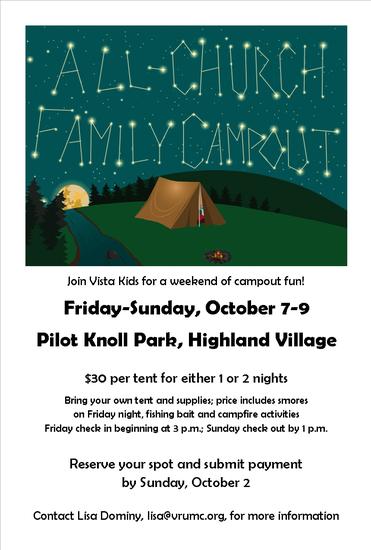 Sign Up for the Family Campout Here! 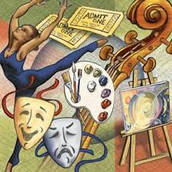 Vista Kids Events on the Horizon! Mark your Calendar! 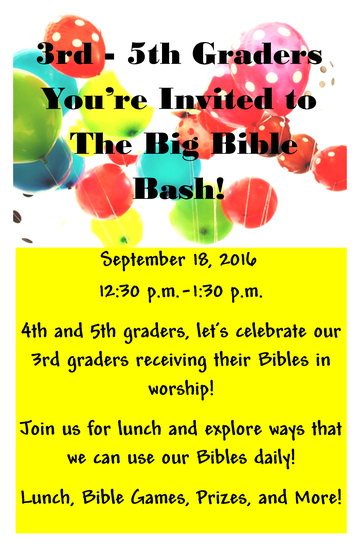 September 18th- 3rd Grade Bible Presentation at either 8:30 a.m. or 11 a.m. and Big Bible Bash 12:30p.m.-1:30p.m. followed by a pool party! Follow Vista Kids on Facebook! For more information about Vista Kids Children's Ministry at Vista Ridge United Methodist Church, please contact Lisa Dominy, Director of Children's Ministry at VRUMC!